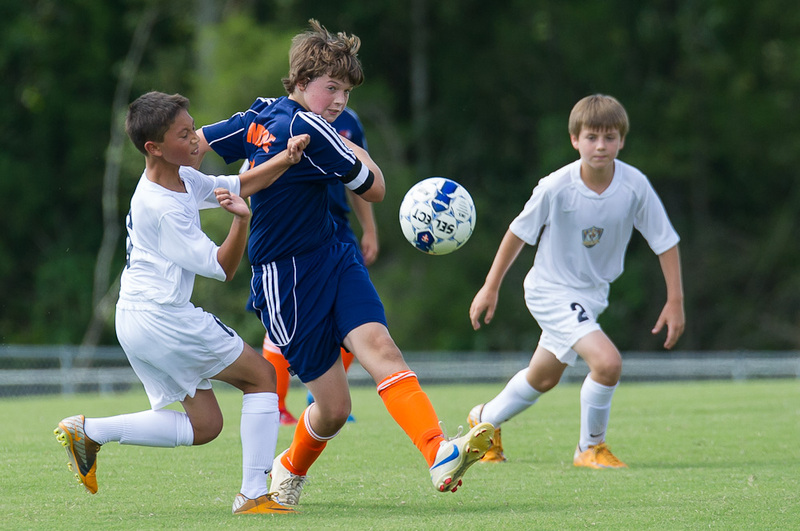 After a break from soccer for the past year, Cameron returned to the field as a member of the new U13 Clarke County Crew travel team in the Old Dominion Soccer League. 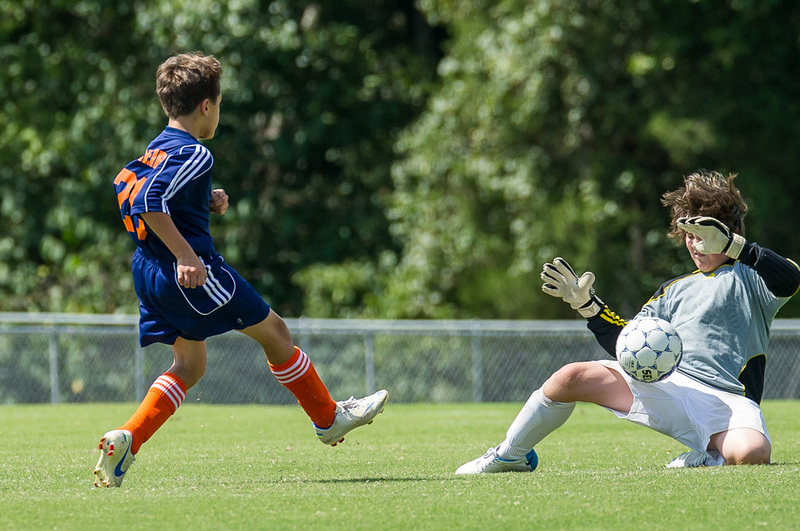 They had their first game on Sunday, September 9, in Fredericksburg, Virginia, against FSCI Phoenix White. Despite being down 1-0 at halftime, the Crew fought back hard and didn’t give up. Their two second-half goals left them ahead 2-1 at the end of the game, which resulted in their first-ever victory. 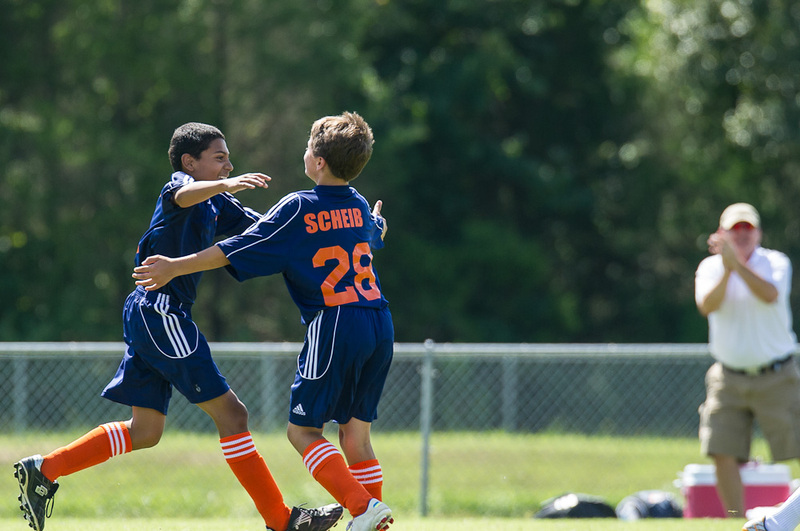 Brandon and Cameron each scored a goal, with coach Bryan Poe celebrating in the background. 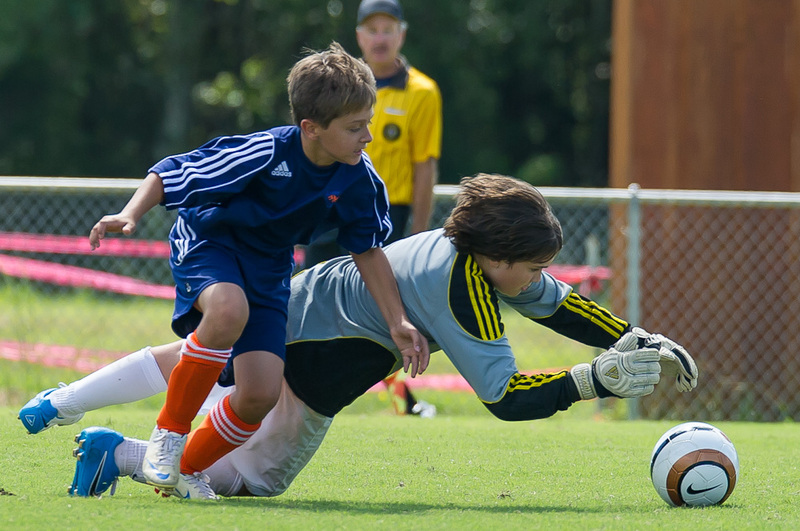 The goalie for Phoenix White was incredible, and he fought hard to prevent the ball from getting by him. It was a tough game all around, and one that could have been won or lost by either side. It just turned out that when the whistle blew, the Crew had time on their side. This time.